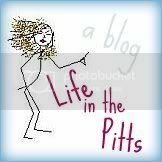 Life in the Pitts: This is why we will always be poor. That foam is a thing of beauty. So did you buy anything awesome?? ha, you guys are too funny....at least he knows you well enough to be prepared, right? of course i would need a back up for that one too! Push pause on the online shopping. i think i peed my pants, just a little. don't judge, it happens to the best of us, you know. I would have done the same thing! That's so me! I'm your newest follower and I have to ask how your name is pronounced. Online shopping is a demon. Seriously. This was funny. I am horrible about sticking to a budget. I love the foam couch. Seriously. At least it will give you fond memories of the early days of your marriage. Then your kids will think you are soooo old when you reminise! I sort of wish there was a "Shell overspending account." Yes! The Di Over Spending Account...know it well! HAHAHA! Perfect. I wish I could write dialogue as well as you do.